Conservation@Home presentations were given at the Knoch Knolls Nature Center and to the Naperville Homeowners Confederation. Just over 50 rain barrels were purchased by Naperville residents in a Rain Barrel Sale. 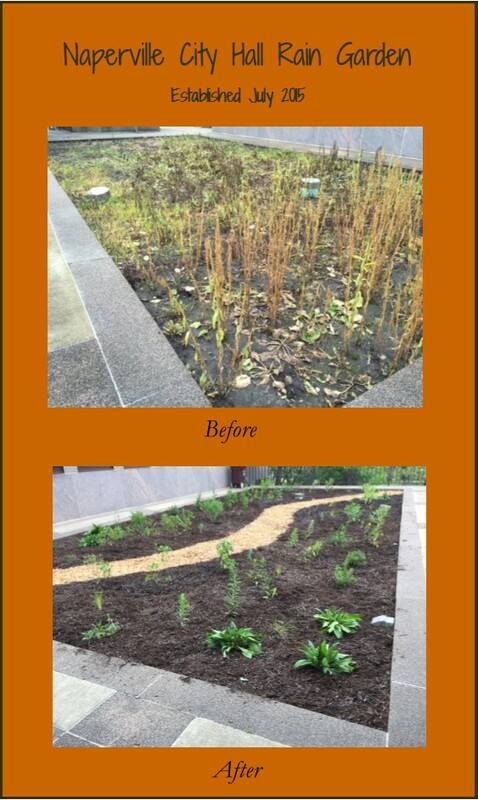 A Pollinator Station native garden was installed next to Naperville City Hall. The Naperville Garden Club volunteered to help plant and maintain the garden. The Naperville Public Works Department is distributing The Conservation Foundation’s brochures at City Hall, the train stations in Naperville and at the Public Works Department. A workshop for residents on rain gardens, native plants and trees is being planned for the fall.